Quite a number of vehicle owners have fallen victim to car thieves, and today, one such victim came to Amandala, frantically trying to locate her SUV, which had been stolen over the weekend. Khadijah Castillo, who lives in the Ladyville area, told us that last Saturday, February 1, she was at the annual BDF Day Fair, where her vehicle keys got misplaced during the day, and this led to her vehicle being subsequently stolen later that night. Castillo – who was visibly distraught – said that she was attending the dance that was being held on Saturday night in Price Barracks when her vehicle was stolen from the parking lot between 12:00 midnight and 2:00 a.m. on Sunday morning. She explained, “Initially, earlier in the day, the keys were misplaced on the BDF campus, after which we got the spare keys to remove the vehicle from the compound. Later in the night, I went back out to the dance, and when I was leaving to go home, I discovered that the vehicle was missing. 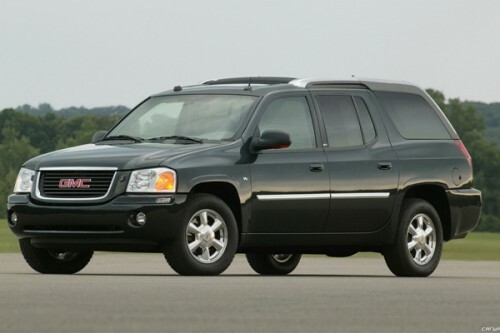 It’s a black 2005 GMC Envoy with license plate number BZ C-44411. She said that she has no idea who would have committed the act, but believes that it was the same person who had found the keys and who probably knows them. She told us that she had been working with the Ladyville police, but so far, they have no leads in their investigation.